5 Stars, A must have for every orchid grower 4 Stars, A great specialty book to add to an orchid book collection, good for most growers 3 stars, good books with limited use. Only good for specific species or genera. 2 stars, A book that is interesting but not essential to an orchid library. 1 Star, I don't really use it and if you could, write me, I'll sell. This book covers 450 species with full color photographs in 97 Genera. It has cultural notes as well as line drawings of the type species that the genus is based on. Seed propagation, classification, and pests and diseases are also discussed in this authorative guide useful to the beginner and more advanced grower. 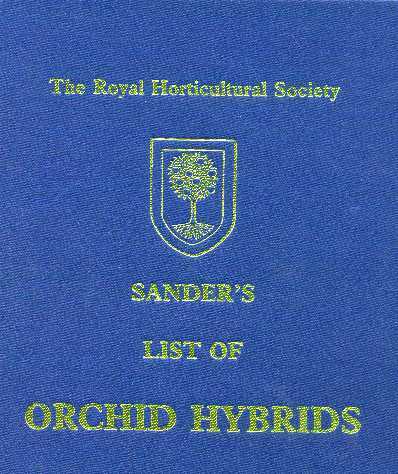 I use this book and The Manual of Cultivated Orchid Species more than any other just for the sheer volume of genera and species. This book contains 300 genera with photos of 1000 species and discussions on another 100. It contains practical information on habitats and methods of cultivation. All in all I feel that this book is a must for the beginner and the expert. Anyone that collects new world orchids should know about these books. The first 4 volumes contain color photos of 707 species in 146 genera. Colombia has reported 205 genera found within it's borders so the fifth volume adds 37 genera previously not discussed. It also has 326 more species that were not discussed in the previous volumes. Volume 6 as of yet is still not available but I am sure that it will contain the remaining 22 genera not previously discussed plus many new species. These books have the best photographs of orchids overall that I have seen. The text discusses the discovery and discoverer of each genus and it makes for a good read. Cultural notes are a bit scarce but it does give a climate zone for each species that it describes. Wow! A must have for all growers, 864 color photos of species and notes on many more. A great ID book. It also has a chapter on Orchid classification with the complete orchid family tree, a chapter on flower morphology, cultivation, hybridisation and orchid conservation and ecology. It also has a section on plant synonyms which comes in handy as many orchid dealers use antiquated names. If you grow Angraecum, Aerangis, Aeranthes, Jumellea, Sobennikoffia, Neobathiea, Oeonia, or Oeoniella then this is the book for you. Culture, hybridizing, synonyms and awarded plants are all discussed in this book with color pictures and line drawings of the Madagascan angraecoids. This book is setup for taxonomic identification with keys to all genera in the area and most species. The book is illustrated with 240 color photographs and 229 line drawings and is written in a layman freindly style. 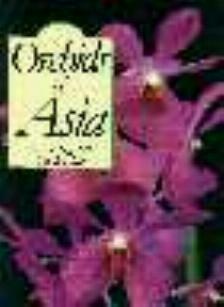 A good book on the orchids of southern Central America. This book covers 51 genera and has 240 species; more than half of the known species found in Jamaica. Line drawings or photos are included with the discussions of each species. A great field guide if you are visiting Jamaica as it gives locations where plants can be found. Seidenfadden attempts to address the difficulties of keeping Cirrhopetalum Lindl. separate from Bulbophyllum Thou. Notes and line drawings of most of Asia's Cirrhopetalum with botanical descriptions and elevations of where the plants were collected. A must for the Cirrhopetalum, Bulbophyllum addict and along with the following book Orchid Genera in Thailand VIII Bulbophyllum Thou. are a difficult must to obtain as they have been out of print for years. Orchid Genera in Thailand VIII Bulbophyllum Thou. The Thai Bulbophyllum species in depth with line drawings of the plants and flowers and collecting notes of the locations and elevations of the species range. Reprinted from the original Dansk Botanisk Arvik 1979 edition. All registered hybrids with their parents and who registered them and when. It also contains a list of genera abreviations and a list of what natural genera make up hybrid genera. A must for all that want to establish a breeding program. It is also handy for the average grower to see what makes up your favorite hybrids which helps with coming up with a plants cultural requirements. This book covers 60 genera and 156 species of the possible 800 found in Mexico with 300 color photos. It includes locations as well as the type of habitat the plant is found, and gives a layman's description of the plant instead of the nomenclature rich botanical descriptions. I think if I lived in an area that could support intermediate to cool plants that this book would recieve a 3 star rating. This paperback book contains descriptions of 300 species and varieties, each accompanied by a color photograph, plant description with actual flower size, botanical name and history and suggestions for cultivations. This book along with the next one on dendrobiums are huge fonts of raw information. The authors have found the nearest weather station to each species range and give the average temperatures, rainfall amount and when they flower . This helps in getting a feel for the enviroment of the plant that you are interested in growing. If used correctly I hope it should prevent me from trying to grow plants that are far removed from the environment that I can provide them with. Dendrobium as a genus is the second largest in the orchid family and they are spread over half the globe and live in most of the earth's climates. This book helps in deciphering the culture for a specific species and helps in knowing when to expect a bloom. This book has an interesting section that tells of ways orchids have been used medicinally, herbally or as an aphrodisiac. Up until the end of the nineteenth century eating the bulbs of Ophyrs fuscifura or salep, was believed to be a powerful aphrodisiac. This book has lots of information but it requires a previous knowledge of plant names and taxomony. The book contains 202 line drawings of the plant as well as the flower that are helpful but otherwise a very dry book. This book is very interesting in that it is a picture how to book. Step by step photos of dividing, repotting, hybridizing, seed pod flasking and much much more. I like this book because of it's many practicle applications. Other Orchid Sites A great site to link up to all other orchid sites, includes vendors, societies,universities,and book sites. Orchid Mall Like above, a location to find many orchid web sites. Linda's Orchid Hybrid Abbreviations Ever wonder what the heck BLC or Burr or Alcra stood for? Well here's the spot to fix all that, not only are the correct hybrid names given but also what genera are combined to make such a named hybrid. So BLC becomes Brassavola, Laelia and Cattleya , and Alcra. becomes Aliceara comprised of Brassia, Miltonia and Oncidium. Heady stuff this is, as now you can see why it blooms when it does or if it needs a rest or why the leaves fall off. Try it when you buy a new cross. Orchid Digest Photo Exchange Used to e-mail photos to use in conjunction with letters written to Orchid List Digest. Orchid List Digest Subscribe Page If you subscribe, every few days a e-mail batch letter will arrive, great way to learn about orchids. Lots of expert advice given to novice and professional. Many appearances by well known published Orchidists. Orchid Discussion List Like the Orchid List Digest, and if you subscribe, every few days a e-mail batch letter will arrive, great way to learn about orchids. Lots of expert advice given to novice and professional. Many appearances by well known published Orchidists. The Stanhopea Page A list of all the Stanhopea species and photos of many of the species.